Bridgeport – Good Brewery “Infrastructure”……. Our “Walking Group” which has been present at other venues reviewed by Thebeerchaser such as Produce Row, Saraveza, Bazi Bierbrasserie, Hair of the Dog Brewing and Ecliptic Brewing (click on the name to see the prior Beerchaser post) hit Bridgeport Brewing Company on a rainy Wednesday afternoon in October. Being of sound collective minds, we abandoned plans to walk that day – understandable given that this tenth month was the third wettest October in recorded Oregon weather history. (we are not wimps and have often walked in the rain…..) We met at the Bridgeport Brew Pub in NW Portland. 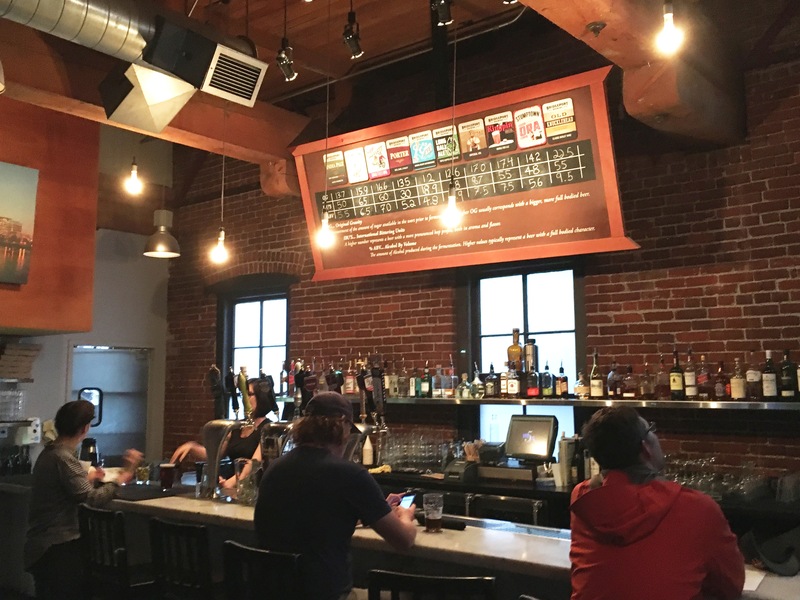 And while Bridgeport did not have the idiosyncratic charm of a dive bar or the intimacy of one of the smaller brewpubs such as Sasquatch or Tugboat, it proved to be a great selection based on the beer, the food and the service. In addition, the Cubs won the second World Series game (5 to 1) as we watched while talking and drinking beer. 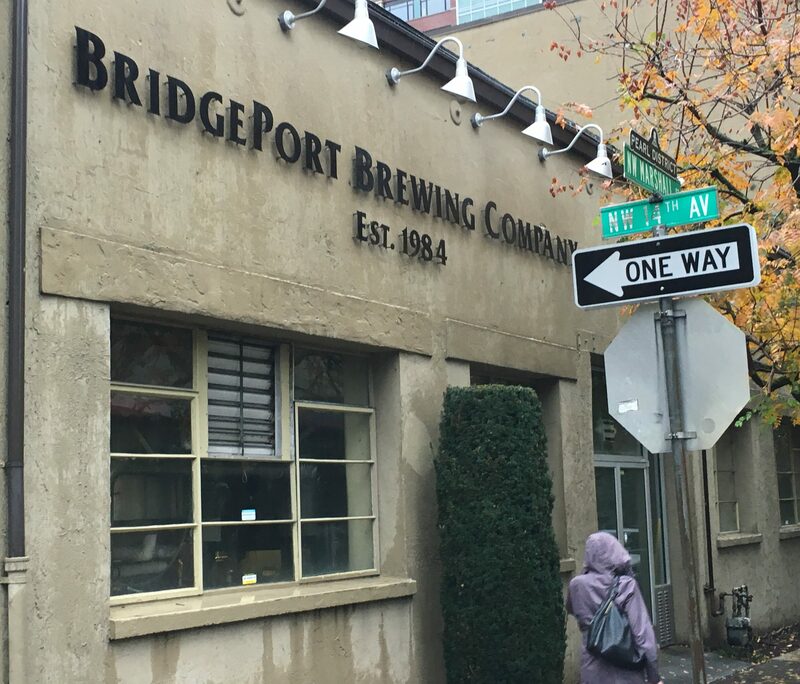 Bridgeport, originally founded by the Ponzi’s of Oregon winemaking fame, as Columbia River Brewing, has an interesting history, claiming to be Oregon’s first craft brewery. It was established in 1984 – one of 94 US breweries – and has grown from a small operation (600 barrels annually at inception ) to a thriving enterprise with annual production over 100,000 barrels and now one of 4,269 (2015) breweries according to national Brewers Association statistics. In the early 2000’s it was listed as one of the top fifty breweries in the US, but is not currently in that category although Oregon has four of which the largest is Deschutes in Bend. 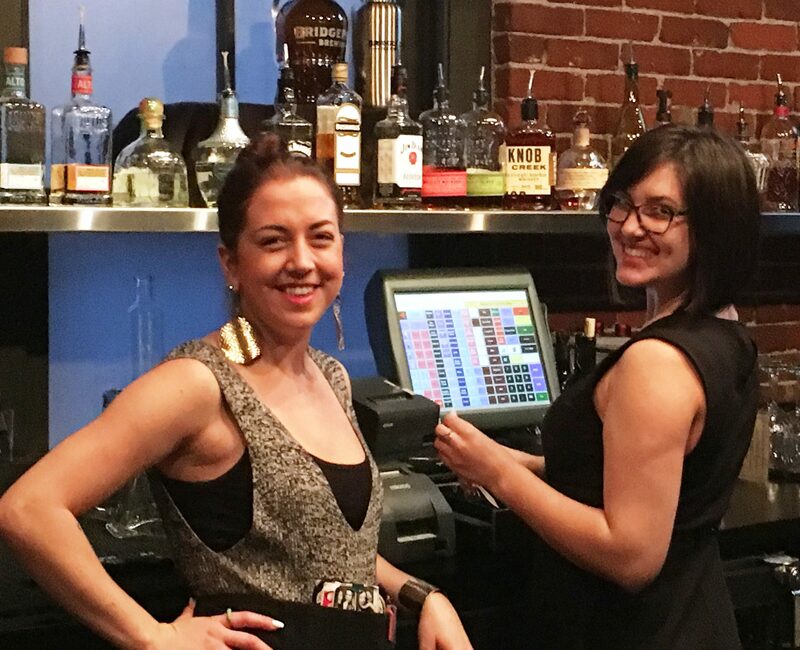 Our group of eight, found a good table on the second floor or mezzanine level – smaller and more ambiance than the expansive main level – immediately adjacent to the bar and served by a wonderful young woman named Kelsey. And as you will see below, our experience was very positive – beer, food and service. In researching on social media sites, I was curious about some of the negative comments. 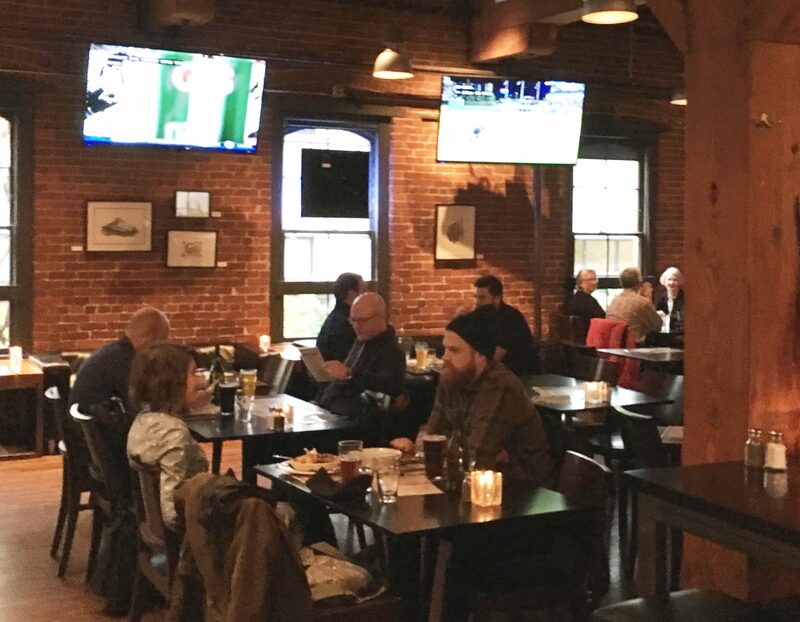 One always expects some about food or service in any venue with a lot of customers, but a number of the disparaging remarks were very old and, as expected, based on changes when one grows comfortable with a favorite watering hole. What a letdown! They made it more upscale and fancy…….No game room anymore. Gone was that cool pub feel. And you could no longer see the brewery behind the taps and kitchen, they walled it all off. It’s just a fancy looking place now. The only good thing was the beer, and the people were friendly and nice. 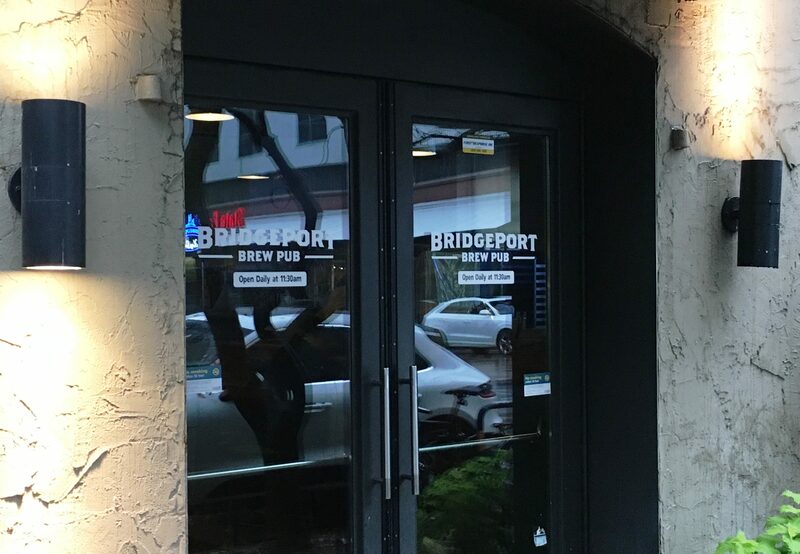 And as expected, Portlanders were upset when the founders, sold to the Gambrinus Company a large beer distributor and brewer in San Antonio in 1995, whose founder, Carlos Alvarez’s, original beer operation was in Acapulco, Mexico – creating all kinds of ominous predictions about the future of Bridgeport. However, as with most brewers, Bridgeport has been a model citizen, showing growth, community involvement and impressive sustainability practices as set forth in great detail on their website. It’s also a great place to have a beer and a meal with friends. 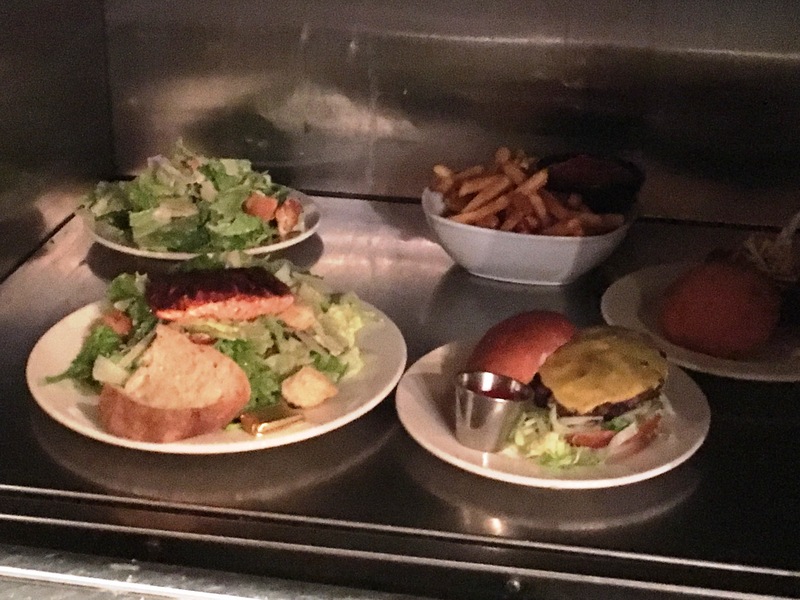 Two of our group (including Thebeerchaser) had what we considered outstanding pulled-pork sandwiches and everyone (ranging from blackened salmon salad to the chicken sandwich to vegan bowl to the quesadilla) with one exception, thought the food was great and reasonably priced. The happy-hour “boulevard burger” with cheese was a disappointment although it only sets one back $6. 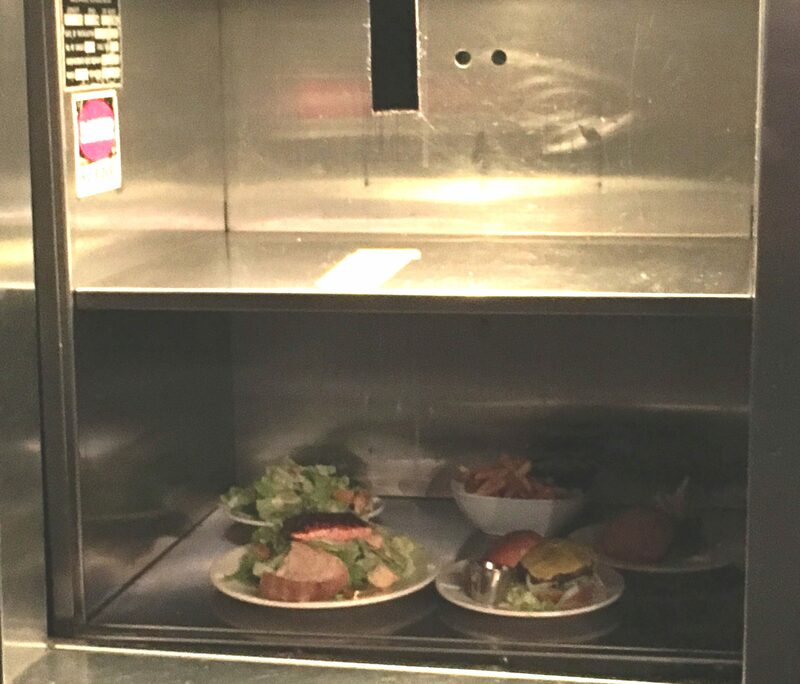 I also thought the old-fashioned dumbwaiter they used to move food from the kitchen on the first floor to the mezzanine was cool. Moving food the old-fashioned way…. We were all pleased with their beer and since there were nine on tap plus a barley wine, Kelsey was wonderful about letting us have multiple tastes to hone in on a favorite. Good beer at $3.75 for a happy-hour pint…. 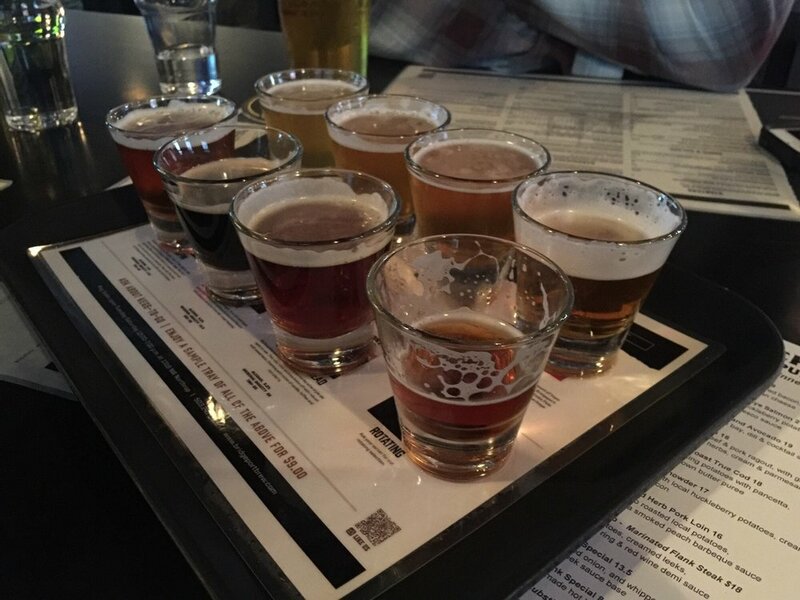 Given the number of good beers on tap, when we go back, we’ll try the sampler of eight beers for a tidy $9. Now in looking at all the reviews – both positive and negative, Bridgeport does very well and as is the case with many of the social media sites, one gets a few with a myopic perspective (some might call them idiots…). Bridgeport hasn’t sold its soul completely. But they might be losing their way a little. Case in point: I went there last during the kick-off weekend of college football, and had to ask them to change to channel to the Oregon Ducks game. They had the bar television on the Esquire channel, which I never knew existed. I am sorry, but beer goes with sports. Period. End of story. 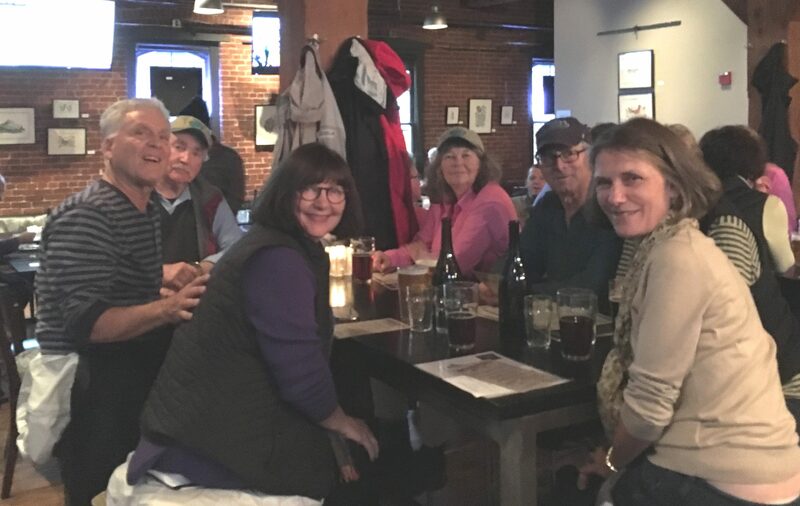 And as a final note, I would add that the week after our visit to the Bridgeport Ale House, we went with some friends visiting from New York to the nearby Deschutes Public House – also in the Pearl District. 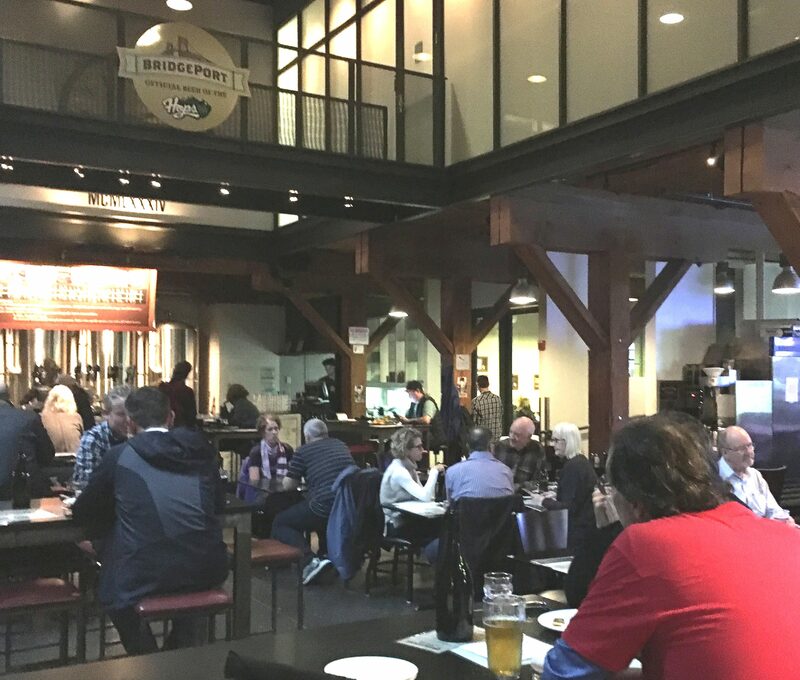 While the beers were comparable in quality, Deschutes is a much larger operation and is more like a large restaurant than the brewpub environment of Bridgeport especially if you eat on the nice second level in the latter. 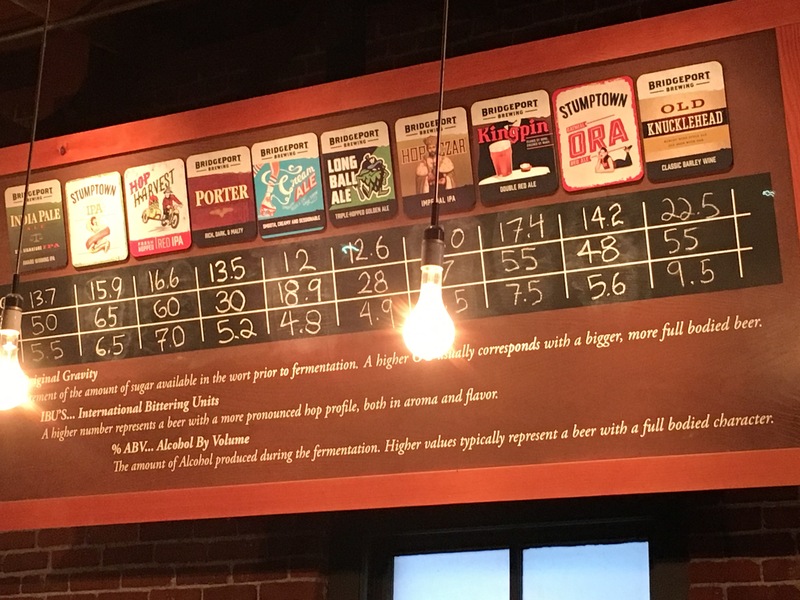 And although it appears that they have a few more beers on tap, Deschutes does not have a happy-hour and pints are about $5 to $6. The parking is much easier at Bridgeport as well. Besides, it would be difficult to get a server better than Kelsey!